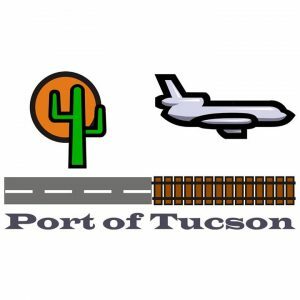 The Port of Tucson is southern Arizona’s first true ‘Inland Port’. With international intermodal freight through the Port of Tucson; Southern Arizona, Mexico, and the entire region are able to be competitive in the global market. In addition, the Port of Tucson provides access to domestic intermodal, boxcar, bulk material, and any other mode of transportation via rail. With over 40,000 feet of track and local switching and unloading services, the Port of Tucson can address any need.